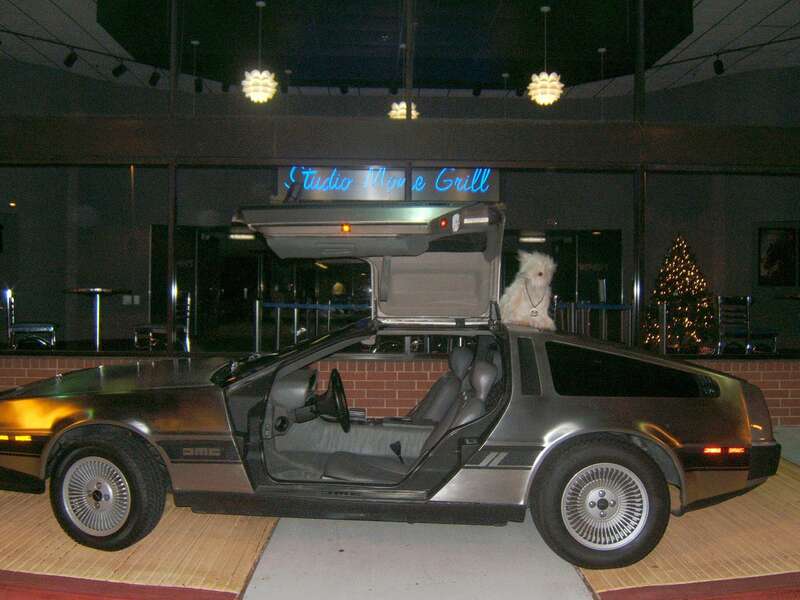 We usually do one or more Back To The Future screenings every year, for various movie houses and outside events. 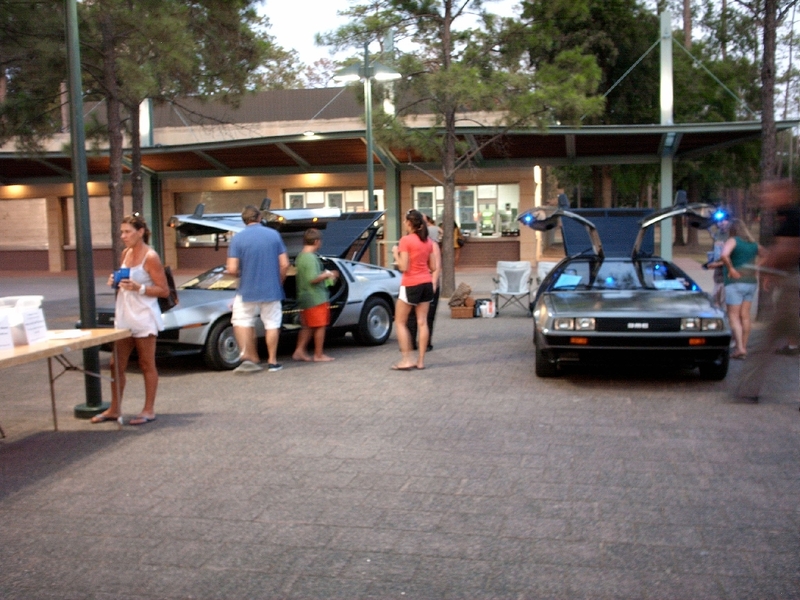 Our first event for 2011 were multiple Back to the Future screenings. 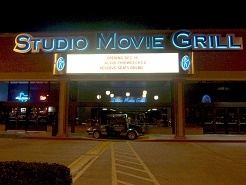 But these screenings were the first ones we've participated in at at the Movie Tavern on Tomball Parkway, just north of Willowbrook. 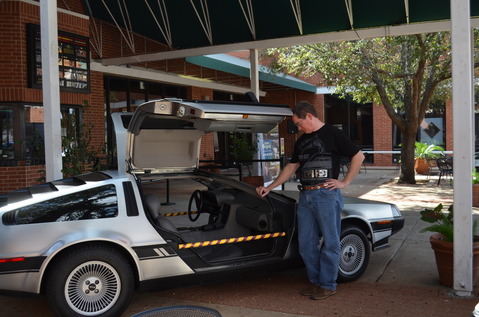 They occurred on Tuesday night, but the club had cars there the Friday and Saturday before to promote the event on Tuesday. 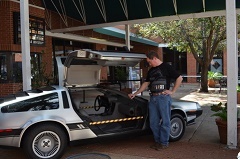 As before, club members were treated to complimentary movie passes and food. 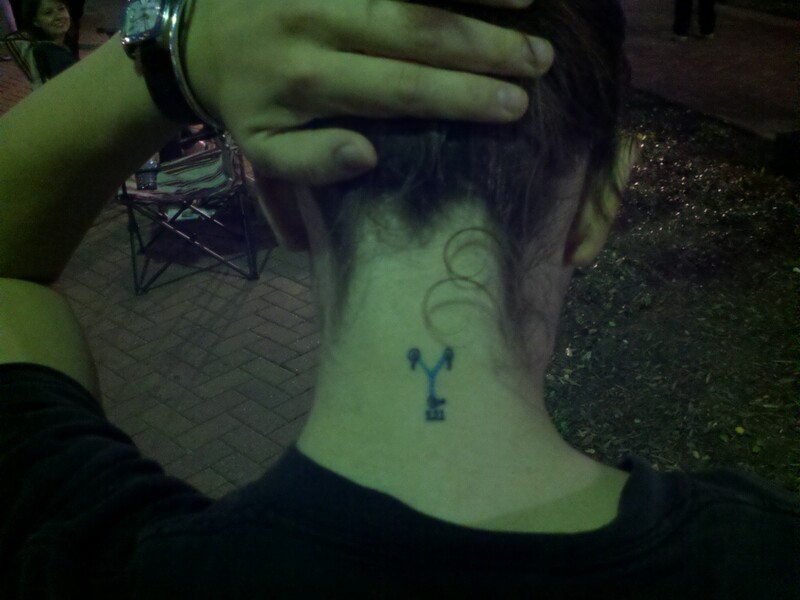 What's not to like about that? All photos courtesy of Shannon Birdwell and Brandon Mims (click images to enlarge). 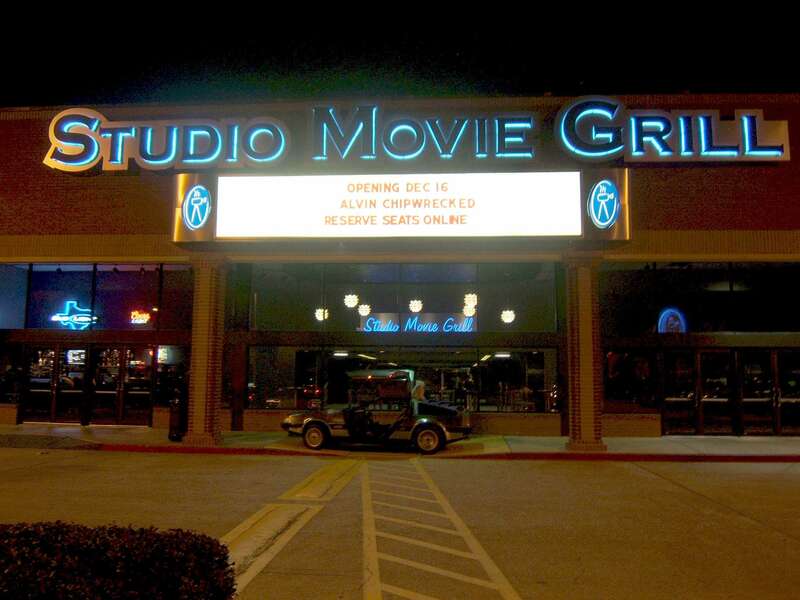 This is a very modern, trendy movie house. 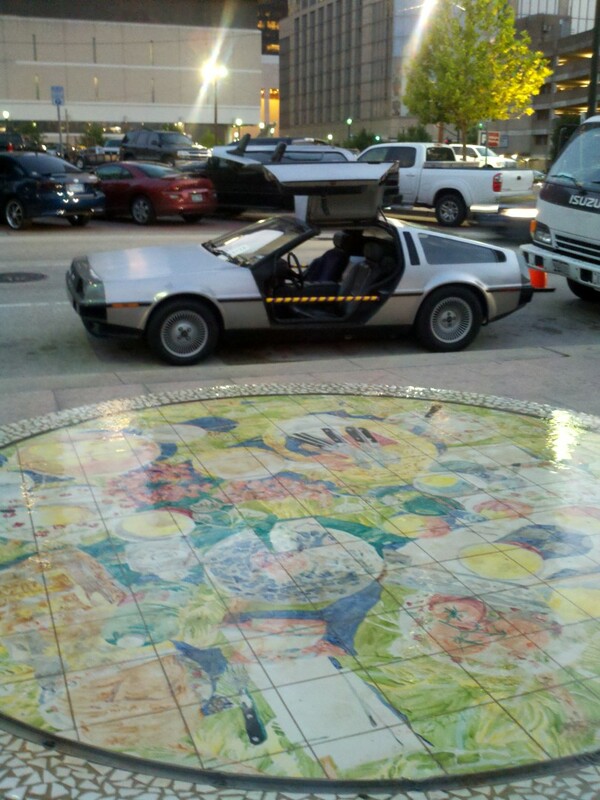 This guy just exited his time machine. 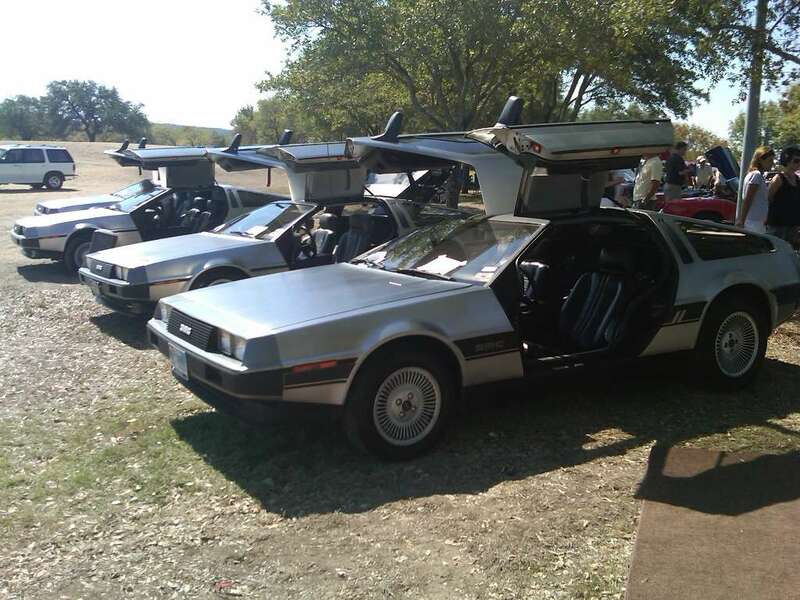 I suppose in BTTF IV, they look this way, way into the future. From that perch, Einstein should have the best view in the place!. 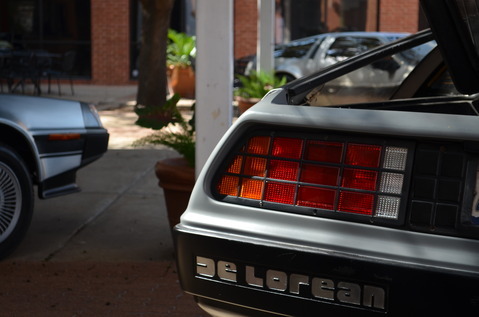 There were eleven DeLoreans in attendance this year for the Saturday event. The weather was very nice. All photos courtesy of Shannon Birdwell and Brandon Mims (click images to enlarge). A view within the setup area. Lined-up after staging, just before the official beginning of the parade. The better part of the Birdwell clan, and Einstein. 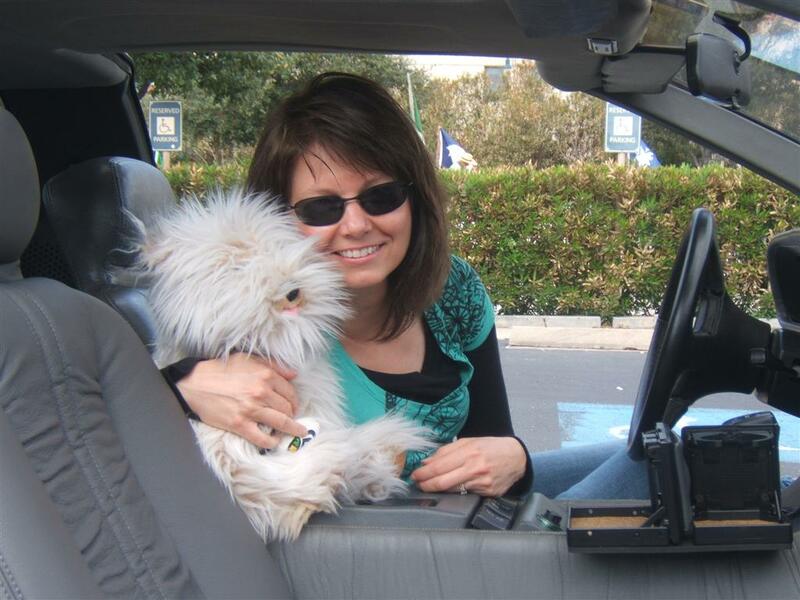 Is she smiling because the dog is so cute? 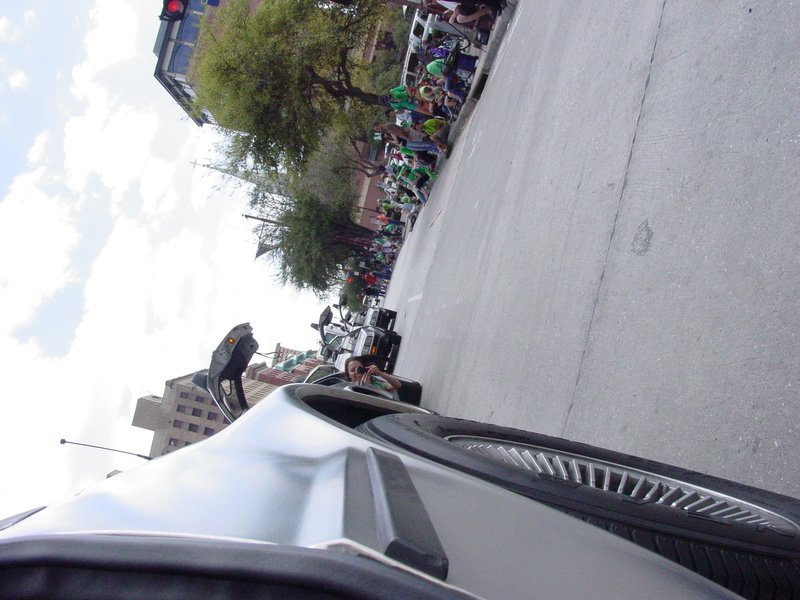 Or because she got to drive in the parade? A group shot? Or Rogues' gallery? You be the judge. 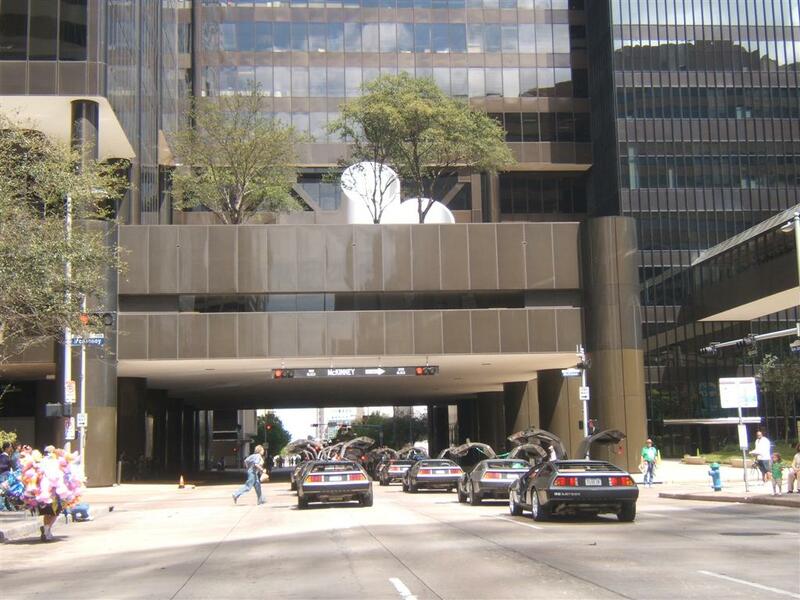 In the heart of downtown Houston, parade cars are dwarfed by modern, massive buildings. 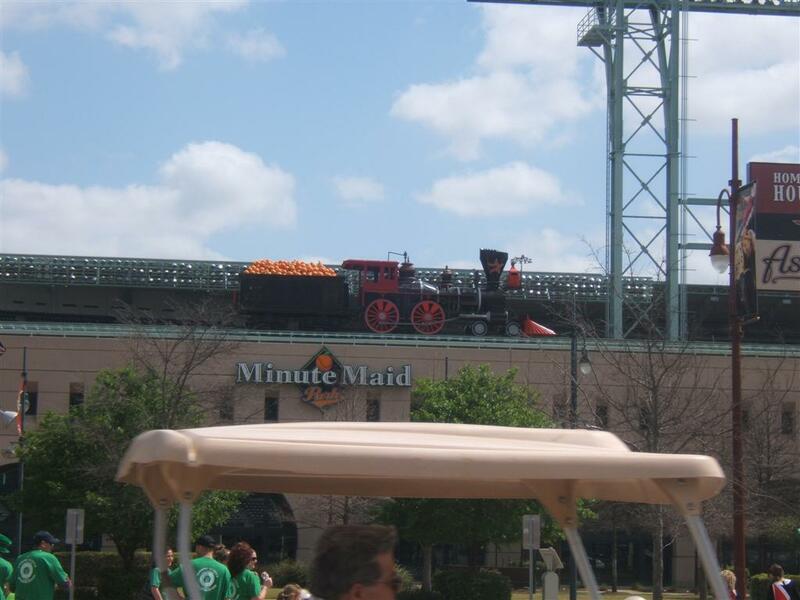 Doc Brown's train was there to help the DeLorean contingent celebrate St. Patrick's day. Yet another view of the staging area. I suppose you could call this a side shot? I suppose you could call this an up shot? I'm gonna get the right angle, no matter what contortion I have to put myself through. 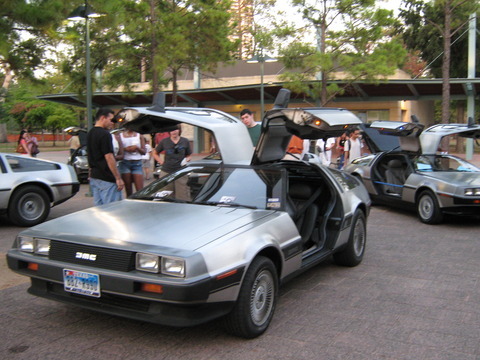 Six club DeLoreans (Birdwell, Ballard, Gove, Yanagisawa, Espey, C.Wynne) were on display in downtown Houston, at Market Square Park, for an outdoor screening of Back to the Future. 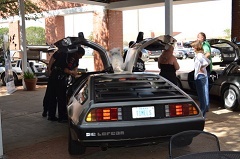 This time, the screening was presented by the Alamo Drafthouse. 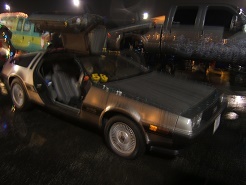 The movie started around 8:00 PM, but the DeLoreans arrived about 6:45 to set up. 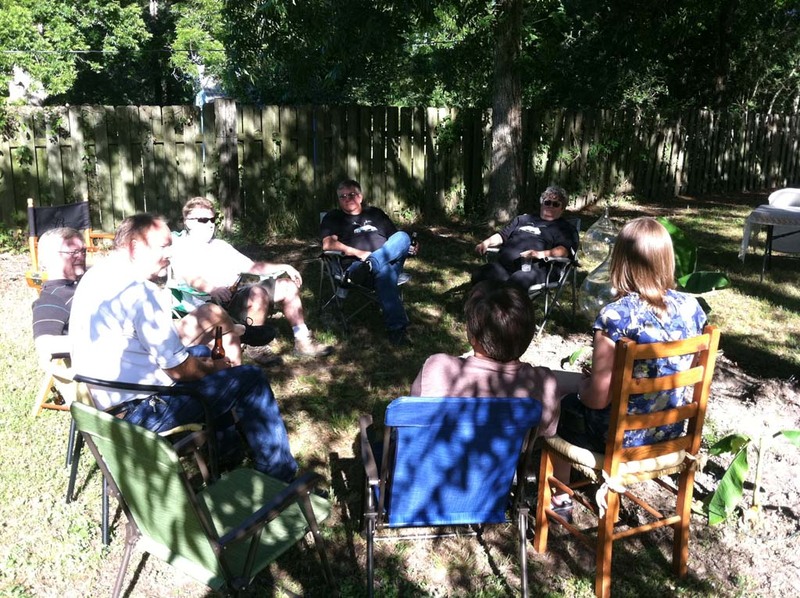 Attending were Shannon Birdwell, Bill, Steve Gove, Ian, James and Sarah, and Cameron Wynne. 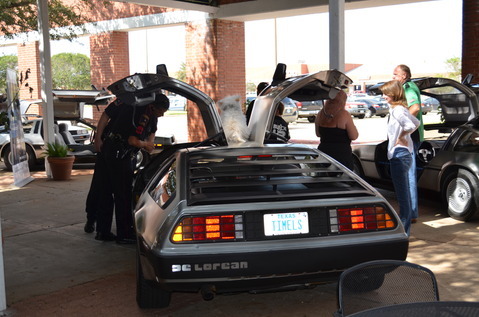 All photos courtesy of Shannon Birdwell (click images to enlarge). That darn Einstein seems to muzzle ("muzzle", get it?) in on a picture at every event! 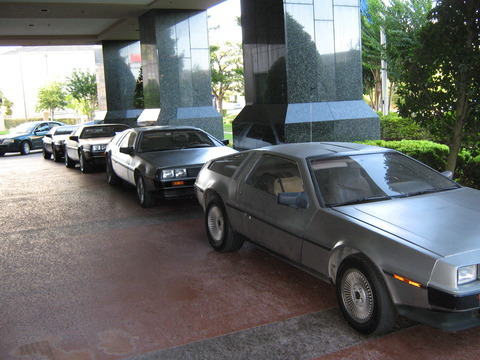 The six club DeLoreans line-up on Travis street. 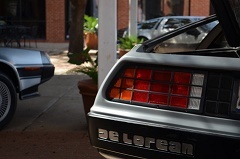 This future DeLorean owner has a flux-capacitor tatooed on the back of her neck. Michael J. Fox filming of himself being filmed. 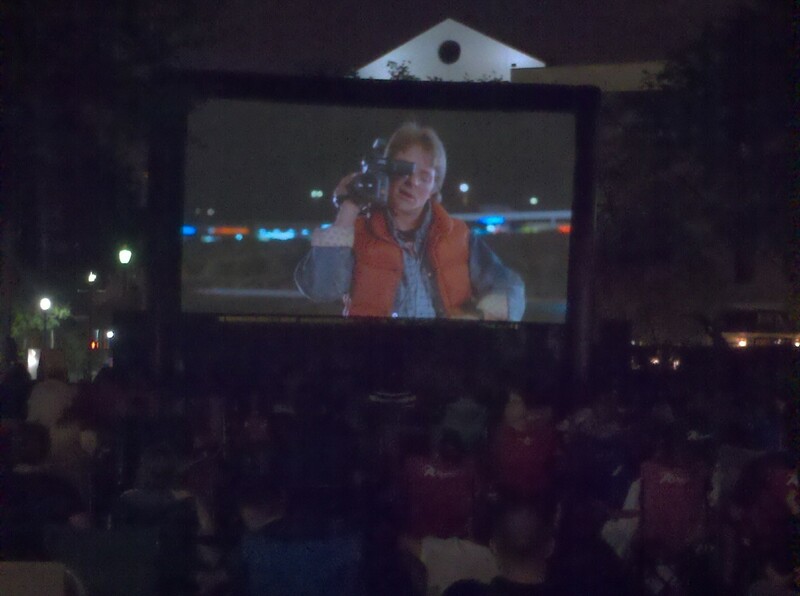 Actually, this is the big outdoor screen showing Back to the Future at Market Square park. Is that a clock-tower back there behind the screen? 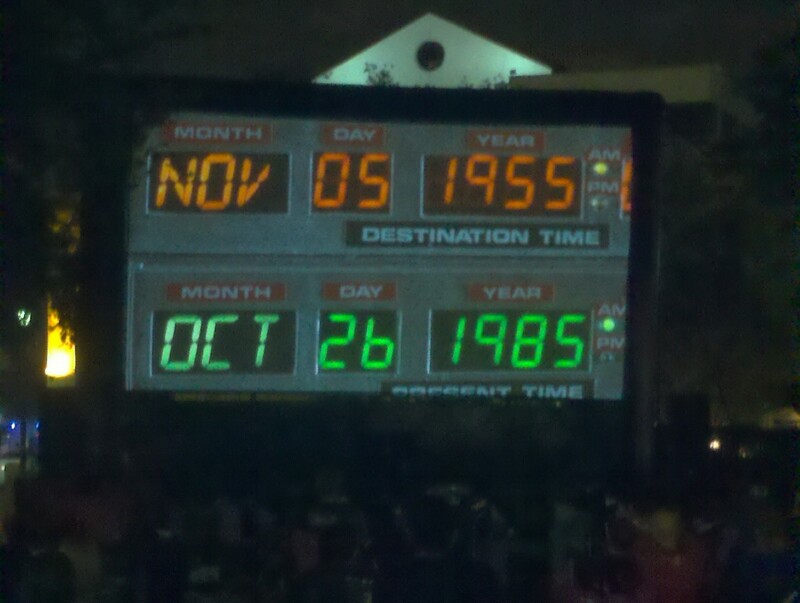 Present time: 10.26.1985. Destination time: 11.05.1955. 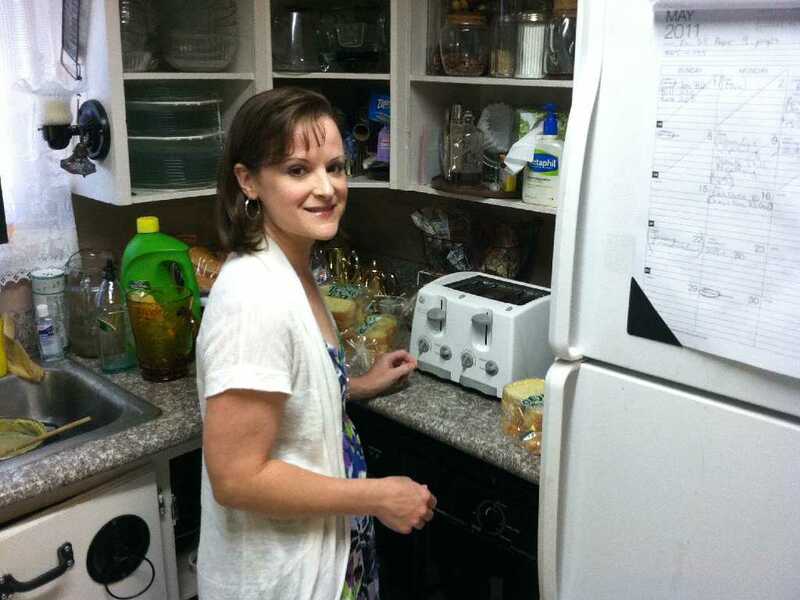 Members met ats Bill and Rose' home in Huffman around 4 PM, where dinner was served. Everyone then headded out to Galveston around 7 PM for the round-trip to Galveston, via highway 146, the Fred Hartman bridge, and Kemah. 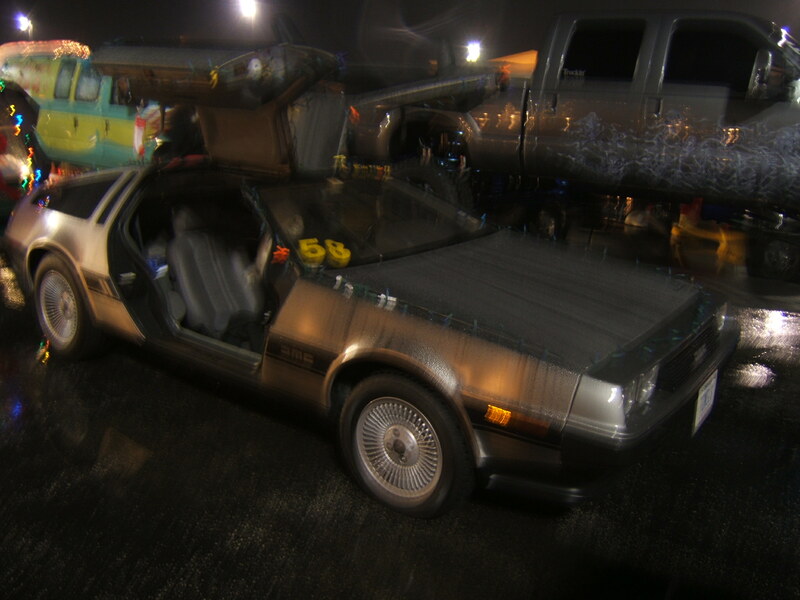 A video of the event called "Deloreans on night cruise" (courtesy of Brandon Mims) can be found on YouTube, click here to go there. All photos courtesy of Brandon Mims (click images to enlarge). Sitting around the campfire, excitement building about the upcoming cruise. 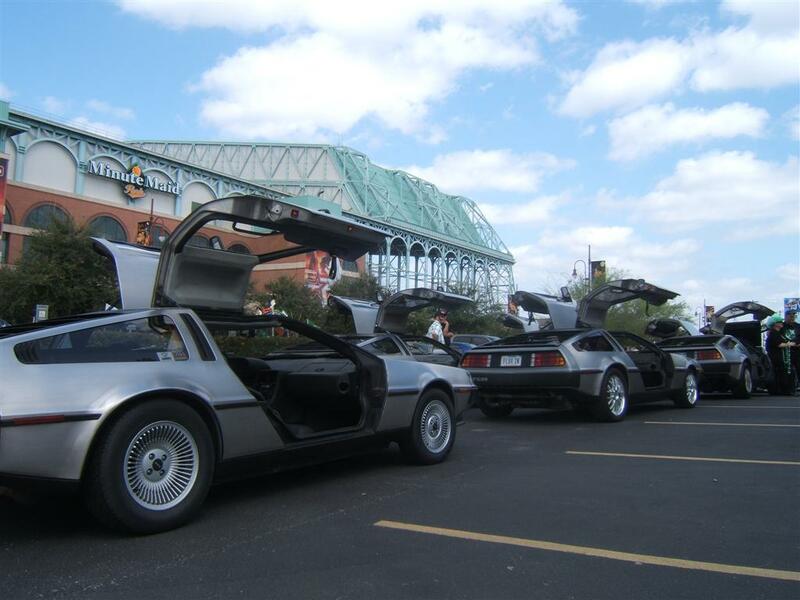 The cars were sitting around too, awaiting their procrastinating drivers. C-mon already, let's go! Rose, you've got to know a little something about throwing a gather'in and doin' it up right to be apart of this team. Another who knows a little something about throwing a gather'in and doin' it up right to be apart of this team. This trip is sooooo exciting! Mom, Dad...can we go home now? 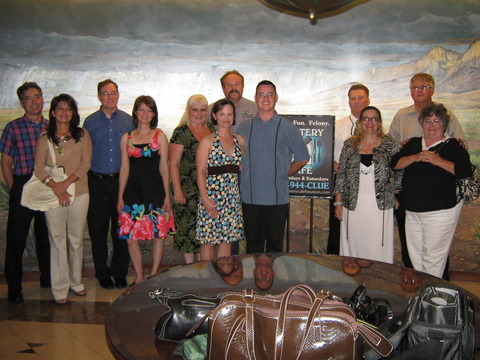 The group really tried something different this time, by trusting Bill and attending the Mystery Cafe dinner theatre. Six couples attended, and attempted to figure out a real who dun-it. (click images to enlarge). 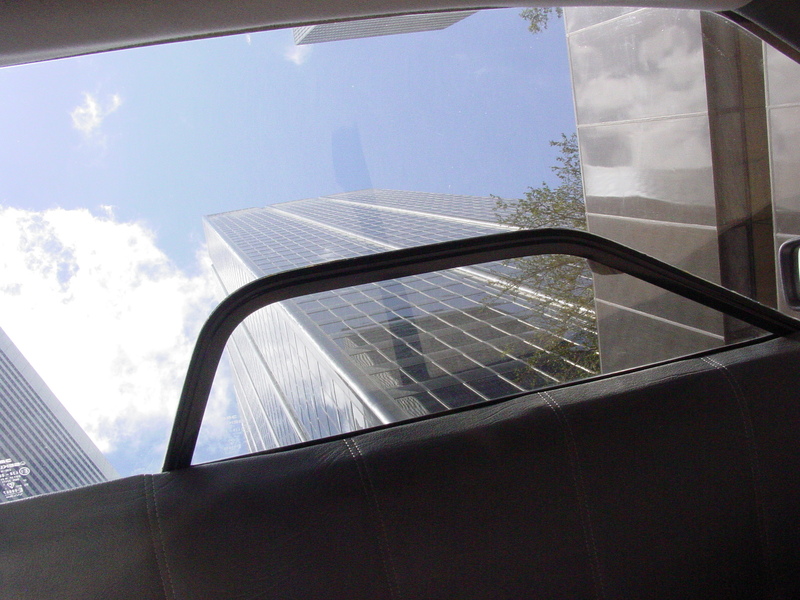 Preferred parking, for preffered automobiles. 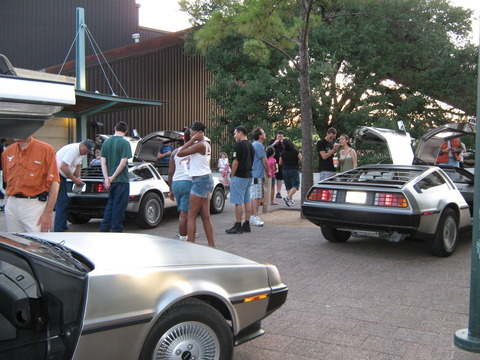 Miller Outdoor Theatre hosted the showings of all three of the Back To The Future movies, on consecutive nights (in order, one each night) on Tuesday, Wednesday and Thursday, August 16, 17 & 18. 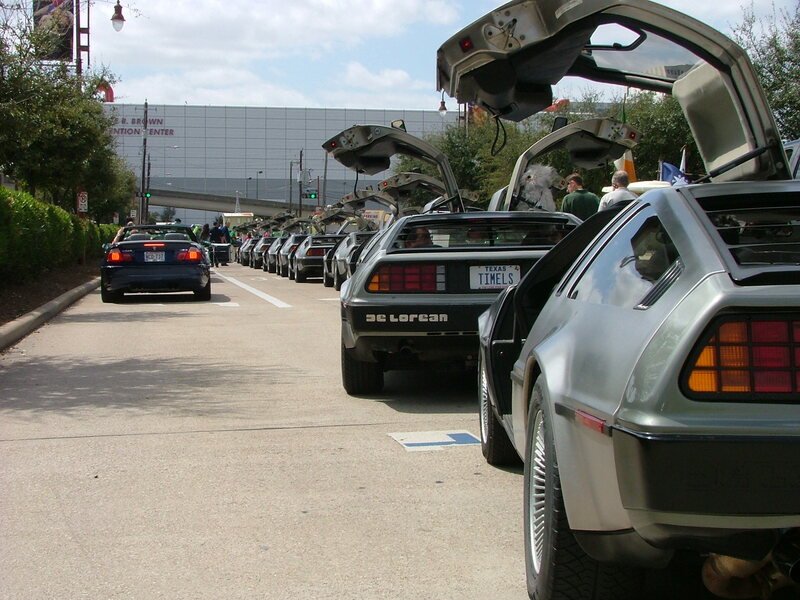 The theater is located within scenic Hermann Park, in Houston, Texas, just north of the Texas Medical Center. For Tuesday night, in attendance were James Espey, Sarah Heasty, Heinz Zuercher and Bill Ballard. Photos by Bill Ballard (click images to enlarge). 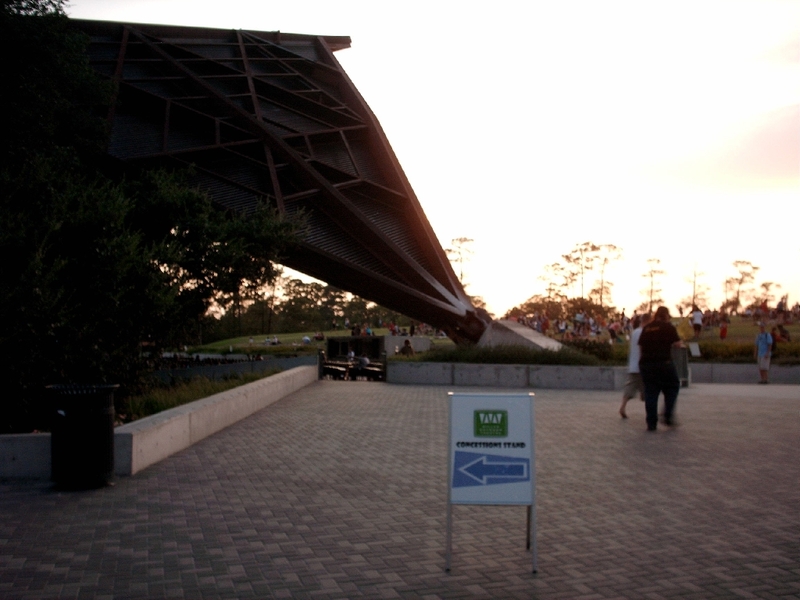 Despite very warm August days in Houston, the evenings can be quite nice. 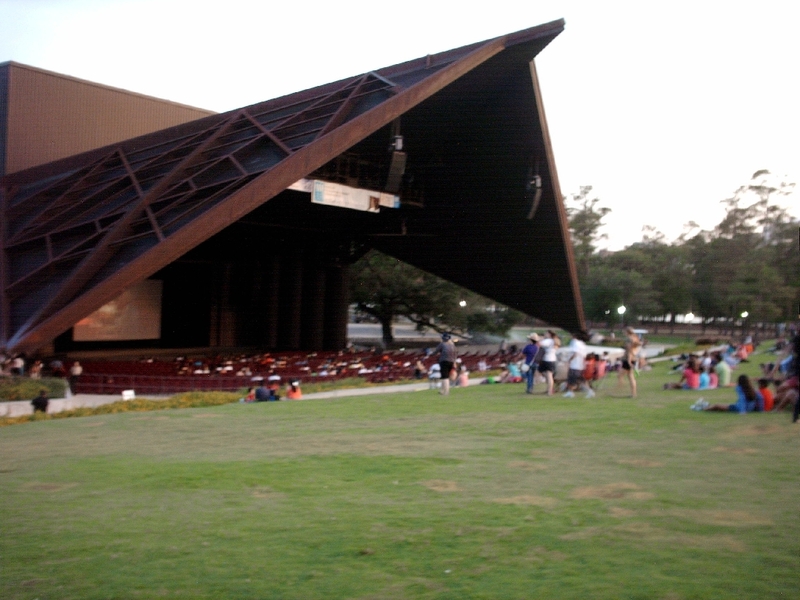 Miller Theatre is amongst the vast trees of Hermann Park, and a nice breeze helped keep the heat at bay. 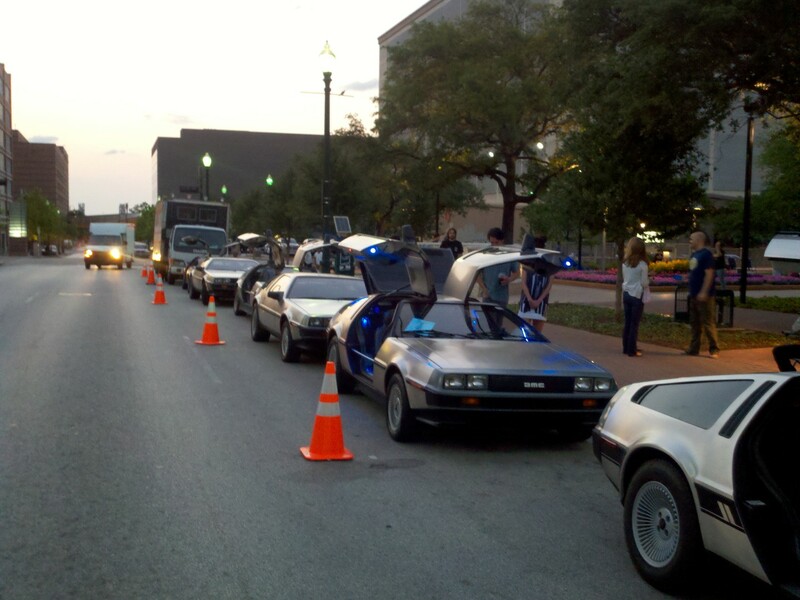 Thus, large crowds were present, and lots of people viewed the cars before the screenings started at 8 PM. As usual, spectators loved to examine a real DeLorean. 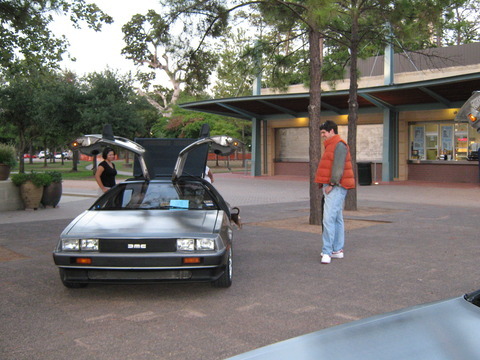 Hey, that guy's got the same kind of life-preserver...er, jacket...as Marty McFly. 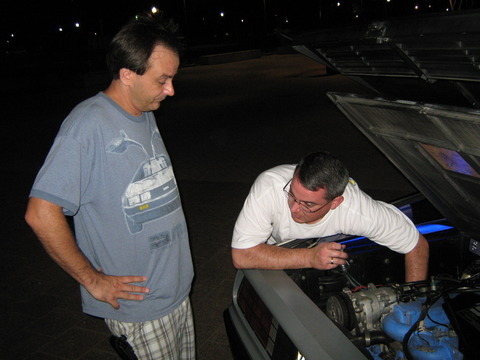 James and Brandon thought they'd get some engine work in while at the screening Tuesday night. Hey, why not multi-task, right? But Brandon dropped a washer somewhere. For Wednesday night, in attendance were Sarah, Bill and Chris. Oh look, there's a picture of Bill with a lamp shade on his head. And hey, there's a shot of Sarah and Chris trying to act like they don't know Bill. Bill sure looks funny with that grass hoola skirt on, eh? This is a picture of Rose, looking down towards the ground and just shaking her head. 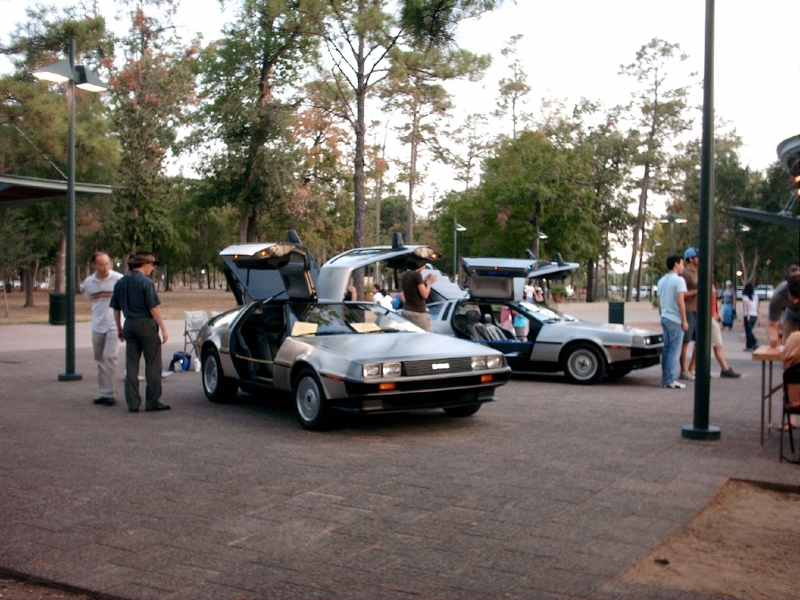 The usual curious crowd view the DeLoreans before the sun set and the movie started. 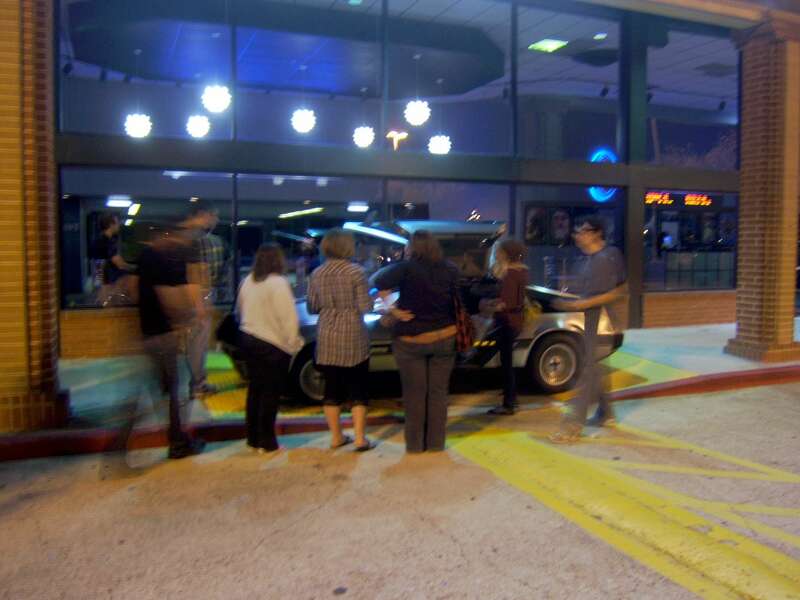 More of curious crowds viewing the DeLoreans before the movie started. The Miller Outdoor Theater itself. 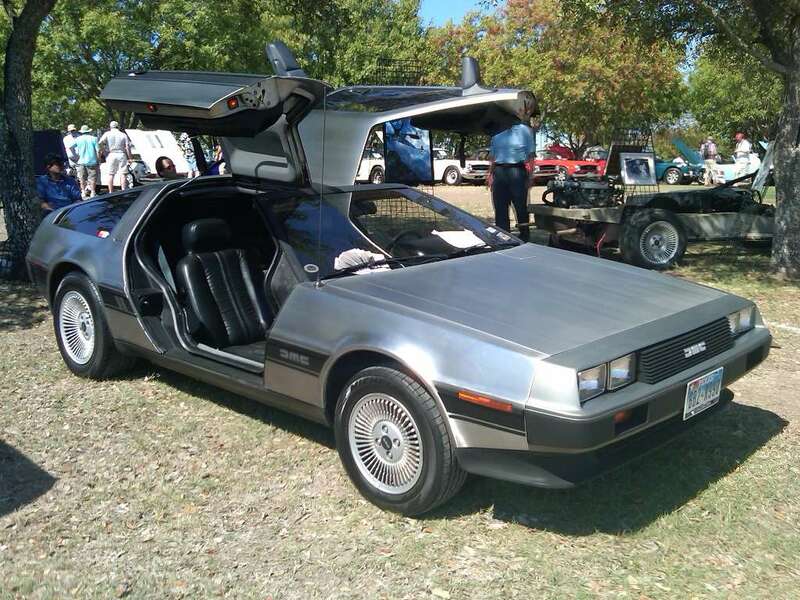 (Comments by James Espey) Despite a disappointingly small turnout of just four DeLoreans for this event, the DeLoreans were well represented with very nice examples of the marque. In attendance were Art Bernhardt (1st place), Sarah Heasty (2nd place), Guy Joyner (3rd place) and new owner (less than 24 hours by the end of the show) Caleb Lloyd and his wife Amanda. Stephen Wynne from DMC along with his wife, Elaine, also made the trip up and kindly brought the rolling chassis, underbody and factory photos for the Club Display which won the award for "Best Club Display". This is the second time the club has taken home this award, having previously done so in 2007. 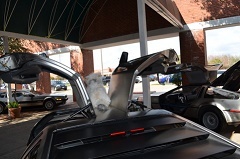 All photos courtesy of James Espey (click images to enlarge). 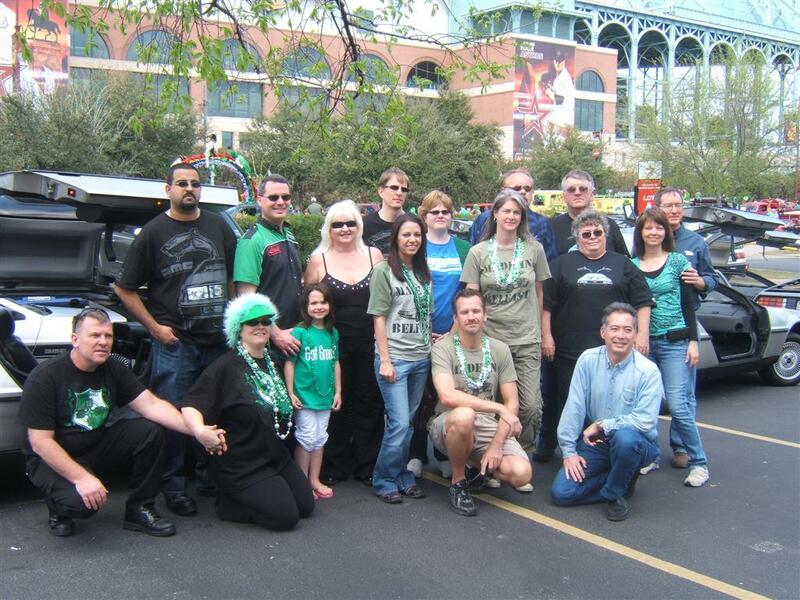 Left to right in group photo - Stephen Wynne, Amanda Lloyd, Caleb Lloyd, Guy Joyner, Art Bernhardt, Sarah Heasty. Sarah's car with Club Display in background. From closest to furthest (Sarah, Art, Guy, Caleb). 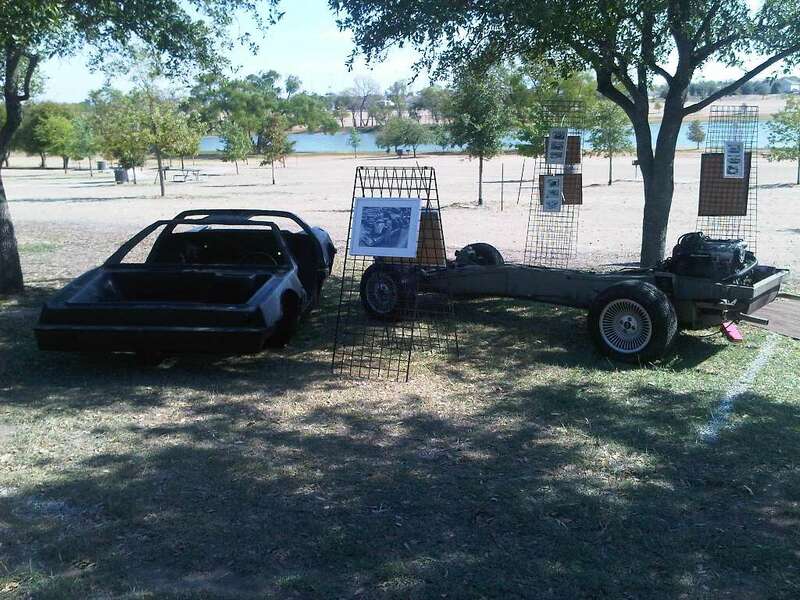 Club Display with chassis, underbody and historical photos of factory, etc. 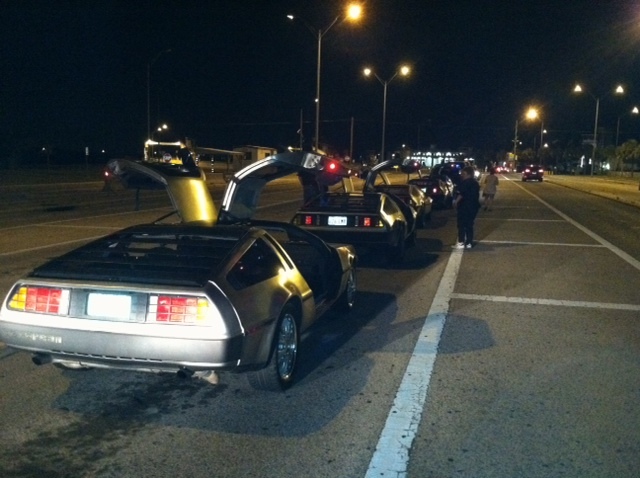 The club participated in yet another screening of Back To The Future at the Alamo Drafthouse. Photos by Shannon Birdwell (click images to enlarge). 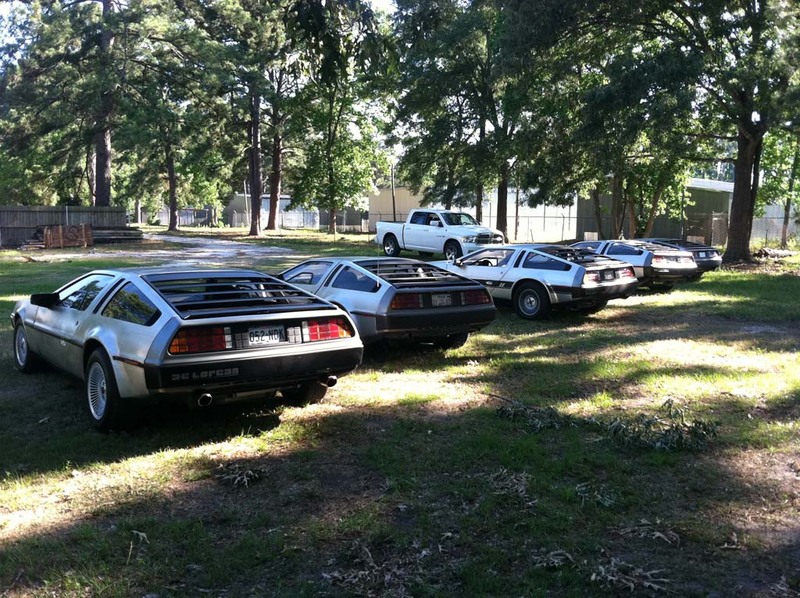 The usual club member gossip/catch-up session and spectator interest in the cars occurred. 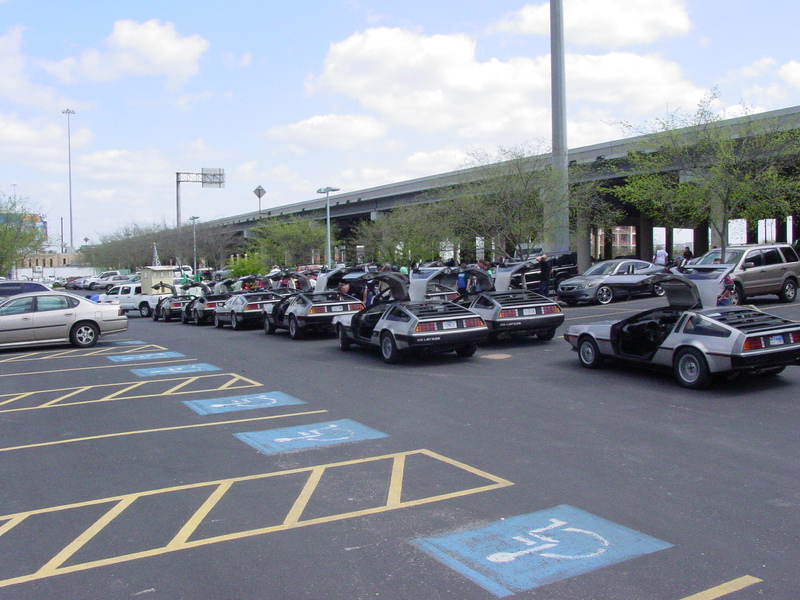 The Drafthouse at Mason Park is setup such that seven to eight DeLoreans can be placed adjacent to the ticket booth. Here are a few cars sprinkled around the area. As usual, that darn Einstein mananged another convenient photo-op. Shannon contemplates his next move. 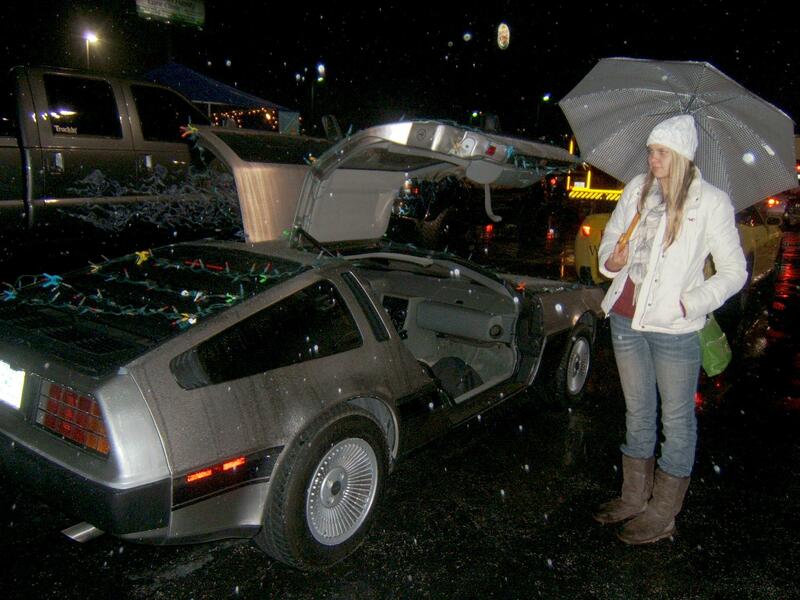 "Hmmm, let me see.....Corner the market and make a million on DeLorean lore, or go inside, have a sandwich and a drink, and enjoy the movie?" 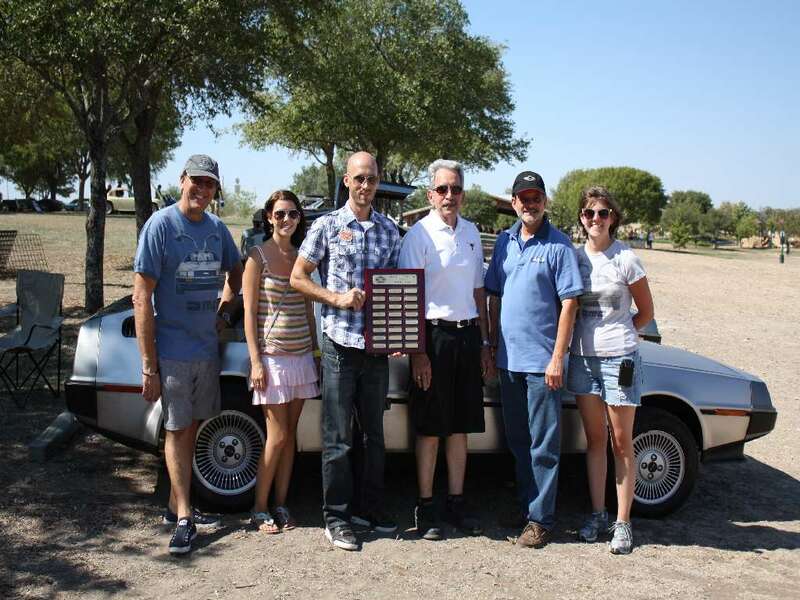 Albeit with only one car, the club had participation in yet another year of the Texas Volunteer Fire Fighter's Releive Fund (the TVFFRF). 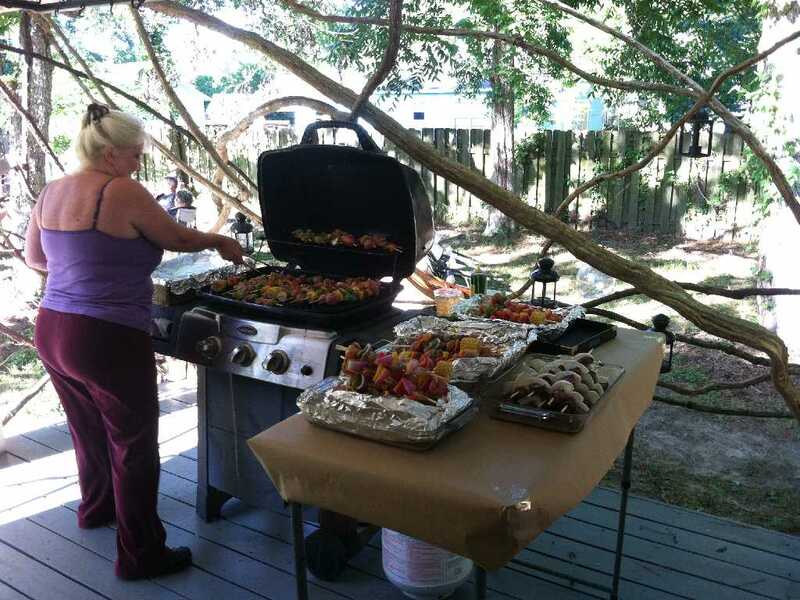 All photos courtesy of Shannon Birdwell (click images to enlarge). 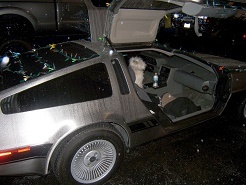 This picture shows Shannon's car at the 2011 Parade of Lights. A closer view, with our old friend Einstein manageing to nose in yet another shot. 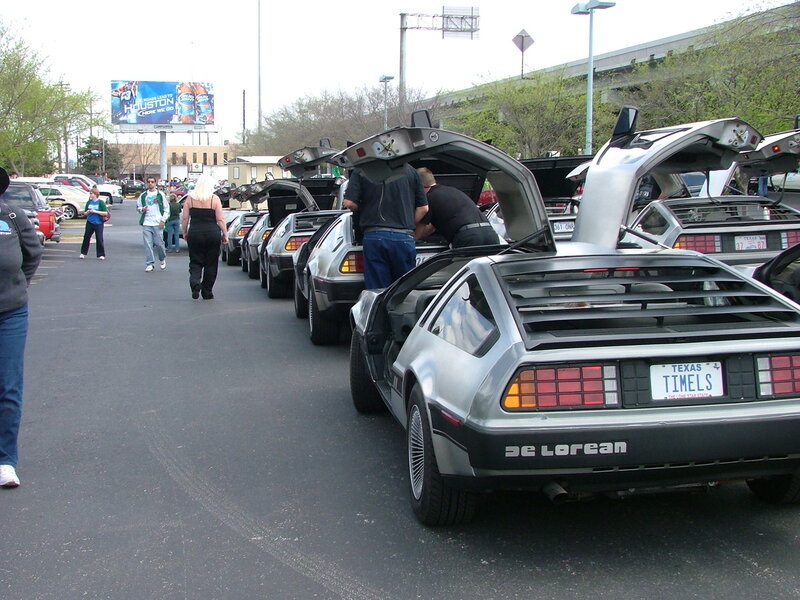 Spectators gather around the DeLorean before going in to see the parade. 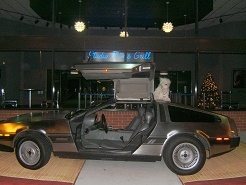 The club participated in yet another screening of Back To The Future at the Studio Movie Grill at both their Houston-Copperfield and Houston CityCenter (Town and Country) locations. 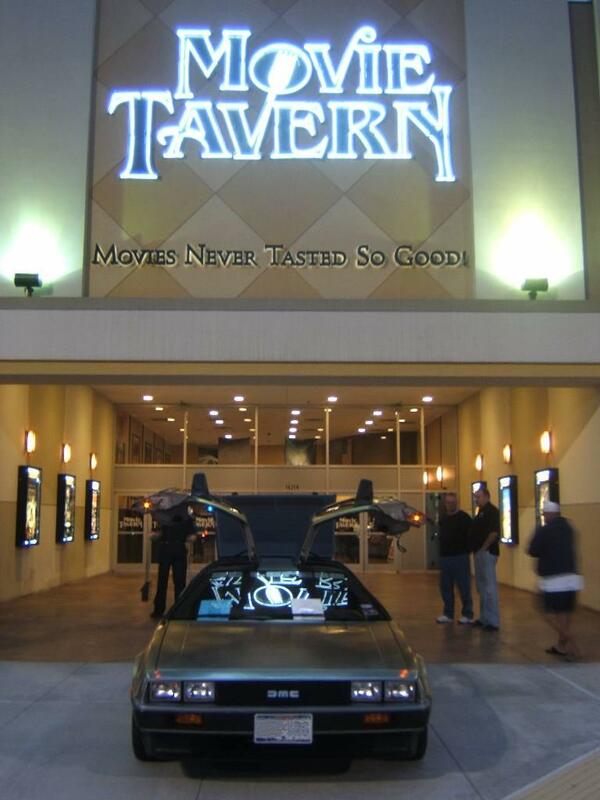 We had a wonderful time last night at the BTTF showing. There were a number of people attending the movie. 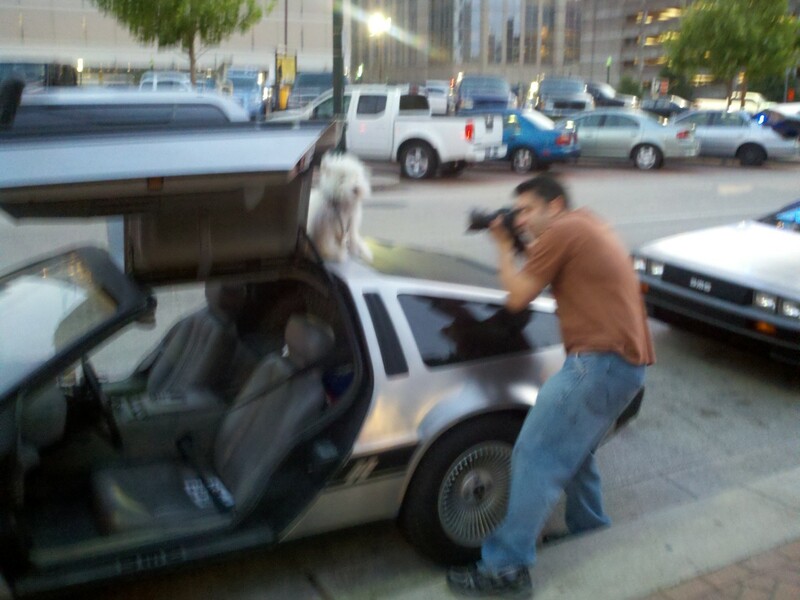 There were a lot of people taking pictures of the Delorean. 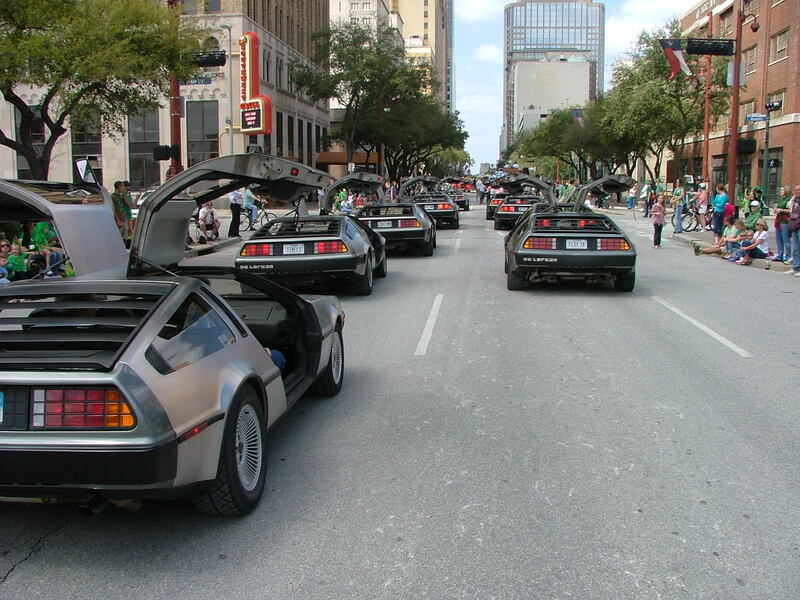 Sometimes cars would stop as they were driving by. 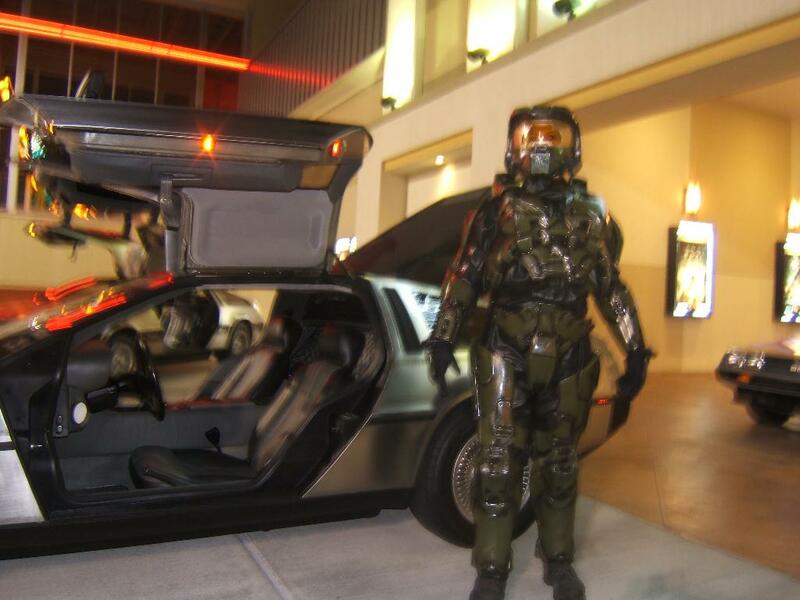 I've attached a few pictures of the event. I can send more pictures if you want. Many thanks to you Lynne, and David Blancas the general manager at Copperfield and thanks to John Wallace the general manager at Town and Country. My wife and I enjoy going to SMG. In fact we are planning on going tonight at the Copperfield location. 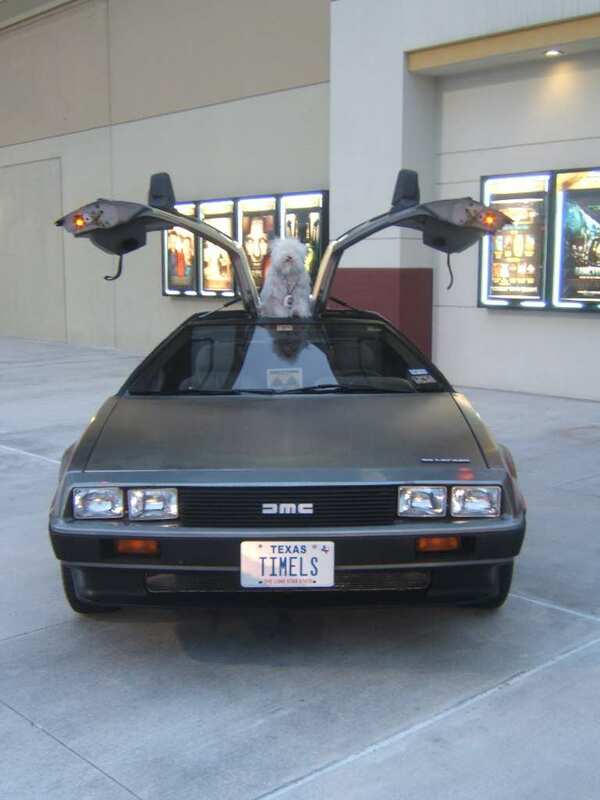 If I can be of assistance to do this in the future or if you have a special event in which you feel that a Delorean would help you, please let me know. Photos by Shannon Birdwell (click images to enlarge). 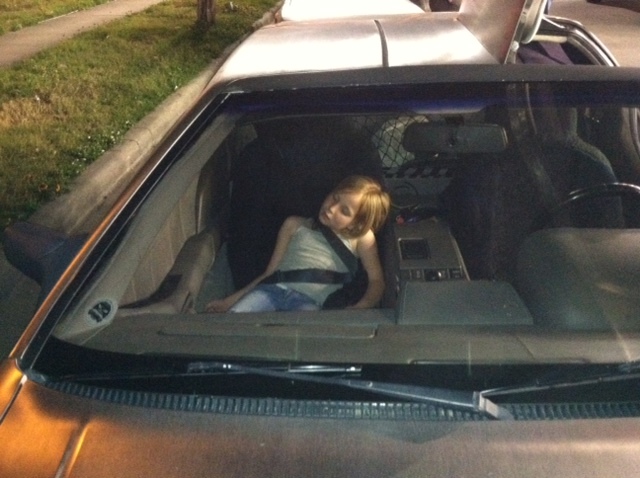 This picture shows Shannon's car at the Town and Country location. 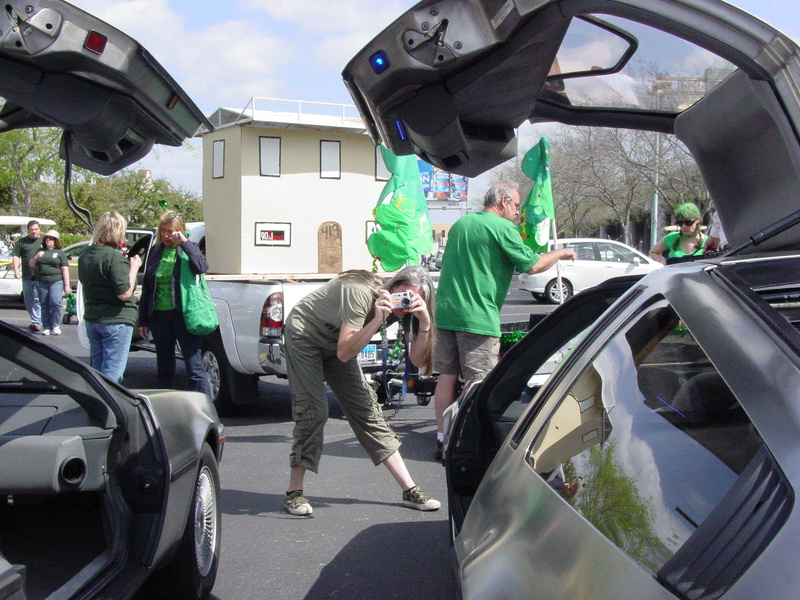 A closer view, with our old friend Einstein manageing to nose into another shot. Spectators gather around the DeLorean before going in to see the movie. "I've been given many awards in my lifetime - but to be numbered among the men and women I admire most - is the greatest honor I have ever received." -- Bob Hope, after being made an honorary veteran by act of Congress, and signed by President Bill Clinton.